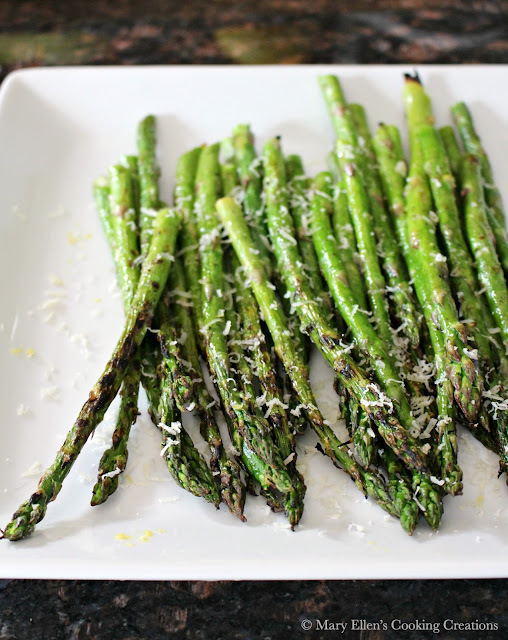 Asparagus is hands-down my favorite vegetable to grill, so I am crazy excited that asparagus season is upon us. We have a friend who cuts asparagus at his brother's farm, and I am just counting the days until we get our first bunch. There is nothing like cooking it just a few hours after it was cut - it's so sweet and fresh, and we easily eat the entire bunch in one sitting! 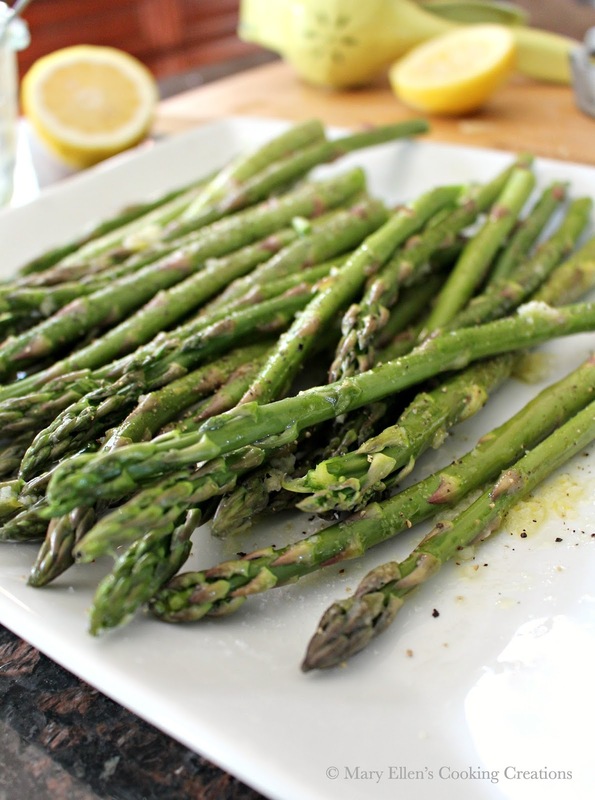 Not only is asparagus delicious, it has so many health benefits. Check out more info on asparagus shared by Quick Easy Cook. There are so many ways to cook asparagus. I usually toss the asparagus with olive oil, salt and pepper and roast it, but for our first grilling night of the season, I wanted it to scream spring. Adding lemon brightens up the flavors, and garlic is a must because, well, garlic! It makes everything better. 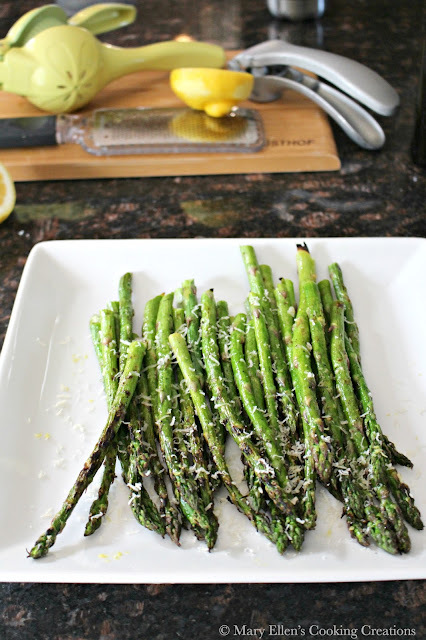 I mixed olive oil with lemon juice, lemon zest and garlic and poured it over the asparagus before adding sea salt and freshly ground black pepper. These grilled up quickly, so they were still slightly crunchy with a perfect char on the tips. 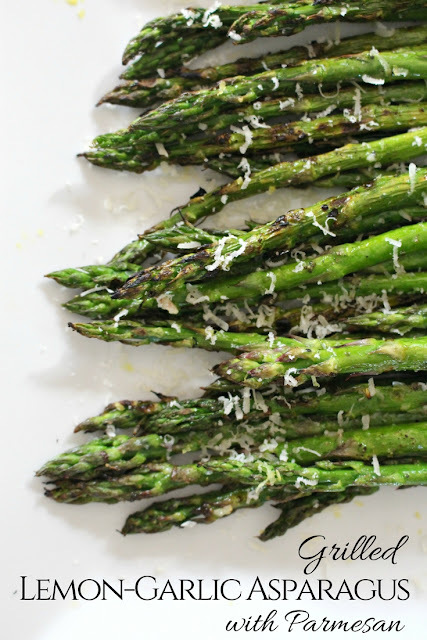 Once they came off the grill I quickly added some freshly grated Parmesan cheese. Mix the olive oil, lemon juice, lemon zest and garlic. 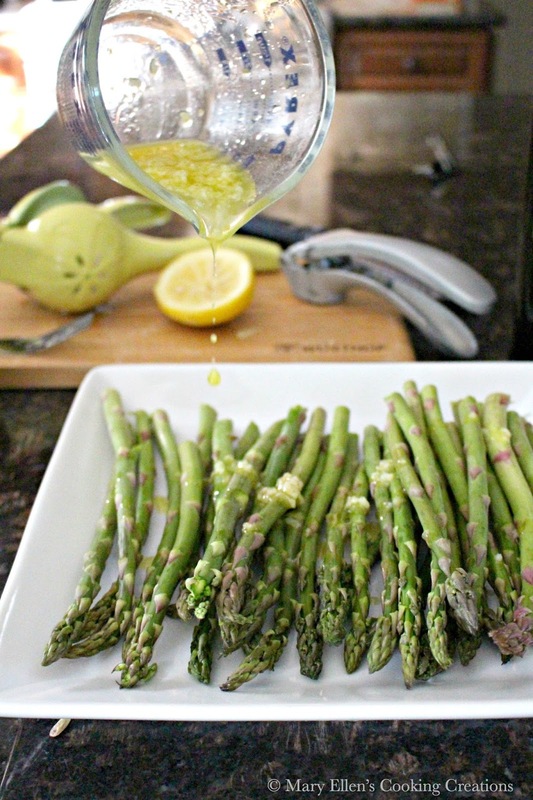 Pour over the asparagus and toss until coated. Place on a hot grill and cook 2-4 minutes; flip and cook an additional 2-4 minutes until charred but still crisp. Transfer to a plate and top with the grated Parmesan cheese and additional lemon zest.